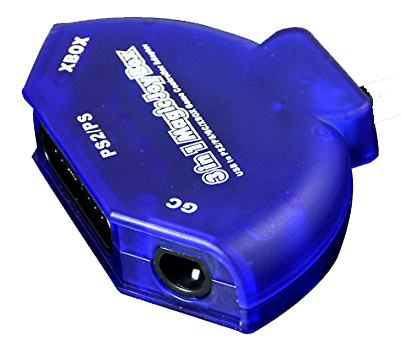 Adapters that do not use Dolphin's Native Support will have additional input lag and be less accurate with analog controls. 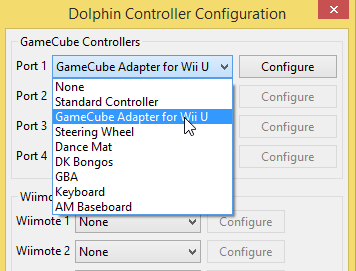 With Dolphin, if you are not using an adapter compatible with Wii U, you WILL have to reconfigure and remap your controller. 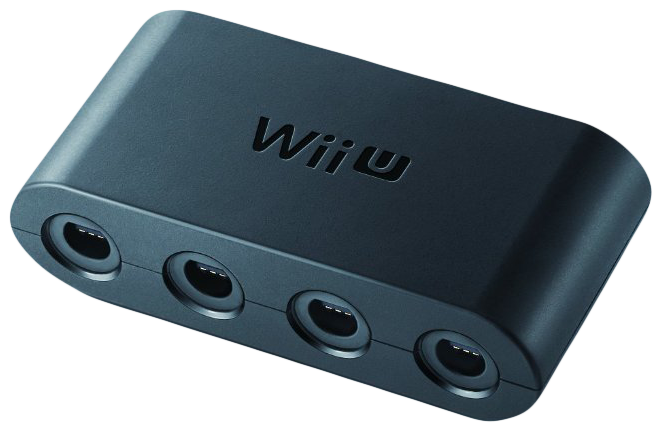 If you have the official Nintendo Wii U adapter or the 4 port Mayflash adapter, then you can utilize Dolphin's native support for these adapters (Direct Connect). The Direct Connect feature has 0 input lag and is 100% accurate to a console. Always use this if you can. 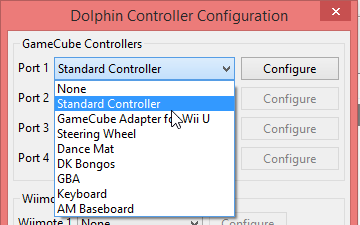 While using Direct Connect, Dolphin configure the controller to match console automatically. This being said, you should not use the GC Pad Settings and changing the settings there will not affect your controller while Direct Connect is on. *Uninstall the vJoy driver if you have it installed. Only applies if you have installed vJoy in the past. 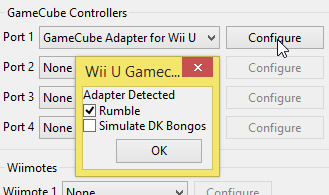 *If using the Mayflash adapter, set it to Wii U mode. Do not try to use PC Mode. 1. Download and open Zadig. 2. Open the options menu and click "List All Devices". 3. Select WUP-028 in the pulldown menu, and ensure the USB ID is 057E 0337. If you do not see this then try plugging the adapter (specifically the black USB cord) into a different USB port. 4. 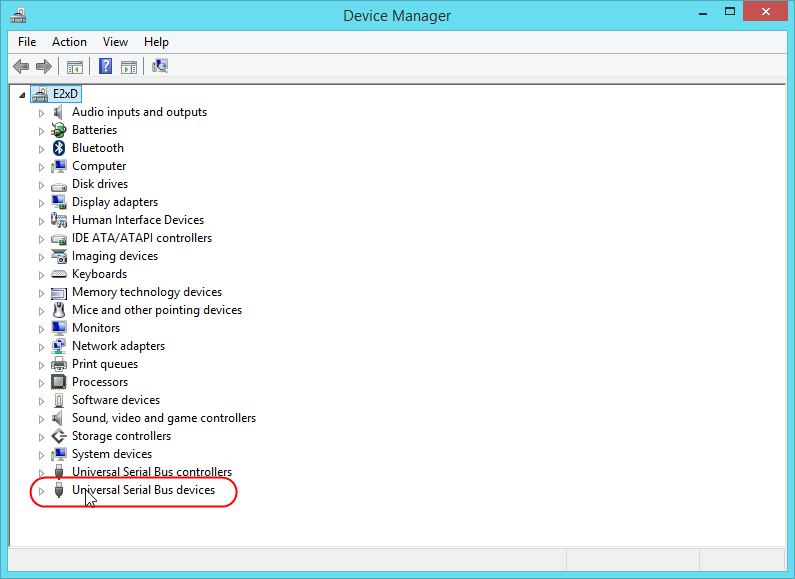 Select WinUSB on the right column then click Replace Driver and select Yes to modify the system driver. 6. YOU CANNOT CONFIGURE DIRECT CONNECT LIKE OTHER ADAPTERS. The inputs will work as intended. Just start the game emulation to test. 7. If you're adapter is NOT being detected, make sure you close all other instances of dolphin and restart 5.0-321. **For other OS's, follow these respective guides ( Mac / Linux ). With most adapters, you do not need any drivers. They are simply plug and play unless you want rumble. Use DInput. The 0 denotes the port; 0 is port 1, 1 is port 2, ect. Make sure it says GamePad and not keyboard. The buttons are easy to set up. You just click the gray box then press the corresponding button on the controller. Button threshold does nothing. For the sticks, you do the same thing. You want to set the radius to 100. It is probably one of the biggest mistakes people make. It defaults to 70, and it is noticeable in game if your radius is too low. Sometimes you will walk instead of run or be unable to do cstick attacks or smash attacks in general. 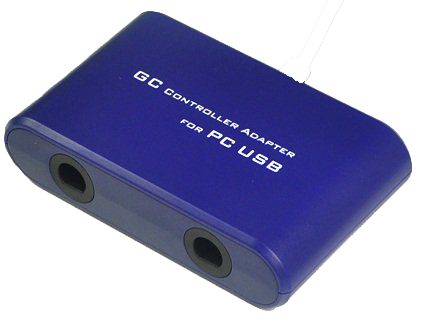 A real gc controller has a radius between 90 and 100. For dead zone, you want to set it as low as possible before the square in the stick box turns red when idle. If it is red when idle, that means your stick is "moving" when you don't want it to. Just decrease it until the square turns red when you aren't touching it. You want L/R to be set to a button and L/R-Analog to be set to an axis. The L/R is the "click" of the shoulder button, or the hard press. That is why it is a button. If you keep getting axis when trying to get the button, try holding in the shoulders before you click the gray box and then try to get just the click. Alternatively, just right click the gray box and manually set it by clearing, then clicking on the correct button, then hitting the select button. The L/R-Analog is your light press. That is why you want an axis. Ensure that what is next to "axis" has symmetry; mine say Xr-+ and Yr-+. They are the same except one is X (left) and one is Y (right). Threshold is that gray bar you see a little bit past the middle of the box below the the threshold option. You set the line to the max distance the red goes when you push in the triggers. 80-90 is about accurate but it doesn't make too much of a difference so you shouldn't worry too much about it. Background input is really nice because it lets you use your controller when Dolphin isn't in focus, or it isn't selected. I prefer to have it on. Iterative input just goes through a setup for you. Don't worry about it. Profiles can be nice, they let you save a configuration which you can send to people, or you can use them to swap between different types of controllers that need different settings.